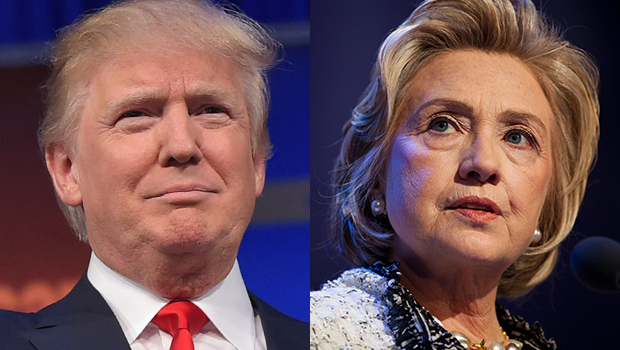 Looking ahead to some possible November election match-ups between the remaining presidential candidates, registered voters give Democratic front-runner Hillary Clinton a 10-point lead over Donald Trump, the same as last month. But Clinton does not fare as well against the other two Republican candidates actively seeking their party's nomination -- Ted Cruz and John Kasich. Clinton holds just a three-point lead over Cruz, and she trails Kasich by six points in head-to-head match-ups. Clinton's Democratic rival, Bernie Sanders, fares better. Bernie Sanders beats all three Republican candidates among registered voters: he holds a 17-point lead over Trump, a 12-point lead over Cruz, and a five-point lead over John Kasich. Women and younger voters favor the Democratic candidate - whether Clinton or Sanders - in all of these scenarios, with Trump faring the worst among these two groups. Bernie Sanders is the stronger candidate among younger voters, and he outpaces Hillary Clinton among men. While men choose all three of the Republican candidates over Clinton by double-digit margins, Sanders runs evenly with Trump and Cruz among men (though he loses to Kasich). Independents vote Democratic against both Donald Trump and Ted Cruz no matter which candidate runs against them. Trump does particularly poorly with independents, losing them by 18 points against Clinton and 26 points against Sanders. John Kasich - the only Republican who beats Hillary Clinton in these match-ups - wins against Clinton among independents by nine points, but loses independents against Sanders by six points. Kasich gets strong support against both Clinton and Sanders from voters over 65. Nearly six in 10 registered voters are now paying a lot of attention to the presidential campaign, and interest is about the same among both Democrats and Republicans. Among this group of voters, John Kasich has a slight lead over Bernie Sanders. Trump does slightly better among this group as well, though he still trails both Hillary Clinton and Bernie Sanders. The two party's frontrunners are both the best known and the most disliked candidates among registered voters overall. Sixty-three percent of registered voters view Donald Trump unfavorably, a six-point increase from just last month. Trump's unfavorable rating has risen 10 points among independent voters. On the Democratic side, Hillary Clinton fares better, but over half (54 percent) of registered voters still view Clinton unfavorably, similar to a month ago. Ted Cruz is also viewed negatively - more than twice as many voters view him unfavorably (48 percent) than favorably (22 percent). Bernie Sanders and John Kasich are both viewed more favorably than unfavorably, though just over half still don't have an opinion of Kasich. All of the candidates have net favorable ratings among the members of their respective parties, but Democrats are more favorable towards their two potential nominees. About six in 10 Democrats view both Clinton and Sanders favorably, though more view Clinton unfavorably (20 percent) than Sanders (12 percent). In contrast, just about half of Republicans view Donald Trump favorably, while less than half have favorable opinions of Ted Cruz or John Kasich. Negative views are also higher among Republicans for their candidates, particularly for Trump and Cruz -- about a third of Republicans have unfavorable opinions of each of them. It's noteworthy that just under half of Republicans don't have an opinion of Kasich. Most independents view Trump, Clinton, and Cruz unfavorably, though they have a net favorable opinion of both John Kasich and Bernie Sanders. For voters who view Trump favorably, his outspokenness is most often volunteered as what they like best about him (27 percent), followed by what they see as his honesty and integrity (15 percent). Further down on the list are that they think he's not beholden to special interests (9 percent), that he's a political outsider (8 percent), and that he's tough and is a strong leader (6 percent). But for those who dislike Trump, his outspokenness is not a positive. Voters with an unfavorable opinion of Trump are divided about what they dislike most about him: the top three responses are they think he has a big mouth and doesn't think before he speaks (14 percent), that he is an egocentric narcissist (14 percent), and that his comments are racist and anti-immigrant (14 percent). There is more of a consensus on what voters like and dislike about Hillary Clinton. Forty-two percent of voters who view Clinton favorably volunteer her experience and qualifications as what they like best about her, far ahead of any other positive attribute. Those who dislike Clinton are even more united in what they dislike: they see her as dishonest. Fifty-eight percent of voters with an unfavorable opinion of Hillary Clinton volunteer they think she's dishonest or corrupt, far ahead of her positions on the issues, which is volunteered by just 6 percent. This poll was conducted by telephone April 8-12, 2016 among a random sample of 1,320 adults nationwide, including 1,098 registered voters. Data collection was conducted on behalf of CBS News by SSRS of Media, PA. Phone numbers were dialed from samples of both standard land-line and cell phones.